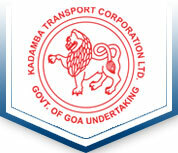 The KTCL Corporation has called upon GEL to process Concession Pass System (CPS) for benefit of commuters. The commuter who intends to avail the concession pass will approach any of the bus depots/bus stands facilitation counter. The System then generates an IDENTITY CARD along with the ROUTE PASS. The validity of the identity card will be as decided by KTCL. The registered commuter can then apply as many passes towards various routes. The route pass will be valid for one month and can be renewed by the system as and when required. The system also keeps track of payments received towards route pass charges, renewals, duplicate pass. It also generates various MIS reports such as cash collection at any particular location, number of applications received, applications authorized and concession passes issued by specifying the time period.